Tarime Rural constituency MP in Tanzania John Heche’s life is in danger, following his continued criticism on President John Pombe Magufuli’s dictatorial style of leadership. Sources within Magufuli’s circle indicate that a plan to terminate Heche’s life was hatched a month ago, in a bid to ‘silence’ him for being a thorn in the flesh of Magufuli’s leadership. Magufuli wants Heche dead on the grounds that “he is growing horns” like opposition Chief Whip Tundu Lissu who was shot nine times outside his Dodoma home, but cheated death and survived the attack. Lissu was treated in Nairobi where eight bullets were removed from his body, but one remained to remind him of the dark era in Tanzania. 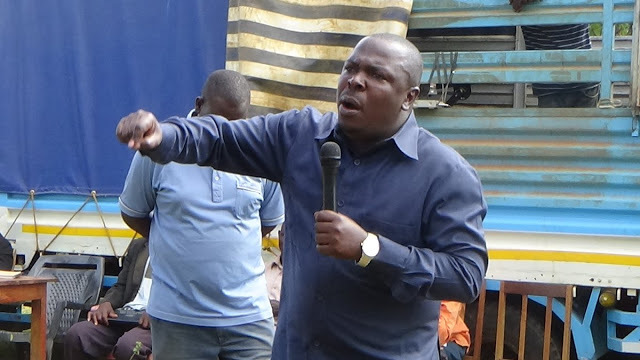 Heche has been vocal both in parliament and in political rallies, where he criticises Magufuli for getting rid of people who critic his leadership style with some being murdered while others are kidnapped and forced to disappear. The disappearances started in 2016, with Ben Rabiu Sanane – a young man who was a policy assistant to the Leader of the Opposition in parliament. He openly questioned Magufuli PhD. According to Sanane, Magufuli didn’t do it himself. He was abducted in November 2016 and has yet to be seen up to date. Simon Kanguye, a mayor of small town called Kibondo in Kigoma region was arrested a day before President Magufuli visited Kigoma in July 20, 2017. He was preparing himself to present to the president evidences of corruption in the district by appointees of the president. The President was briefed and he ordered his arrest and he has never been seen to date. Mwananchi Communications Limited journalist Azory Gwanda, who was investigating disappearances of people in the coast region of Tanzania also disappeared mysteriously and is nowhere to be seen up to date, 11 months later. According to Kigoma Urban Member of Parliament, 348 people have disappeared in what he terms as extrajudicial killings. The disappearances have happened in Mkuranga, Kibiti and Rufiji districts n Coast region, which has been vocal against the government’s injustices. Last year, outspoken journalist and a respected columnist in Tanzania escaped death by whisker after Kahawa Tungu exposed government’s plan to execute him. He sought refuge in Nairobi Kenya and later moved to Europe, where he lives today. In May, the MP said that 68 had been confirmed dead, while the whereabouts of others still remained unknown. Why Link Magufuli to the deaths and disappearances? Since then, all leaders have been surveiled by state machinery in a bid to assess their security and monitor their movements with the aim of finding the best way and place of executing them. Kahawa Tungu sources intimate that a special killer squad has already been formed by the government and is already trailing Heche wherever he is going, looking for an opportunity to execute the vice.